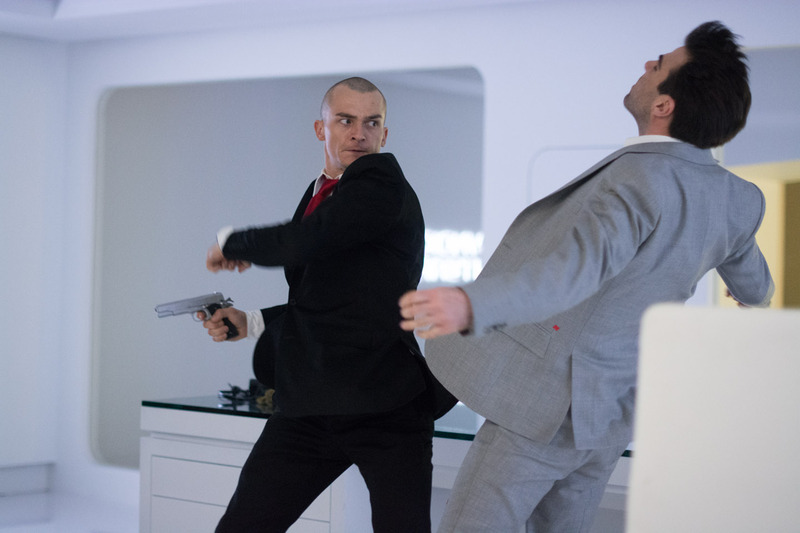 Amplifying and transcending every rule in the action genre, the latest ultra-stylized action film “Hitman: Agent 47” introduces the latest assassin-hero to root for with Rupert Friend in the titular character along with Hannah Ware and Zachary Quinto. Friend, known to worldwide audience in the Emmy- winning Showtime series “Homeland” as Peter Quinn dons the suit of Agent 47, the titular elite assassin based on the popular video game of the same name. A complete reboot, “Hitman: Agent 47” brings together an iconic anti-hero, an empowered and surprising female protagonist, and a seemingly unstoppable antagonist, in a thrilling story spanning the globe. Friend’s Agent 47 has unexpected character shadings that transcend his profession as an elite assassin who remains a fiercely independent figure that moves in the shadows and has incredible tools and weaponry at his disposal. But 47’s defining quality is not his martial skills, but his humanity. “Hitman: Agent 47” is directed by Aleksander Bach, a noted commercials director making his feature film debut, from a screenplay by Skip Woods (“The A-Team”) and Michael Finch (“Predators”) and a story by Woods. From 20th Century Fox to be distributed by Warner Bros, “Hitman: Agent 47” hits theatres nationwide August 19.